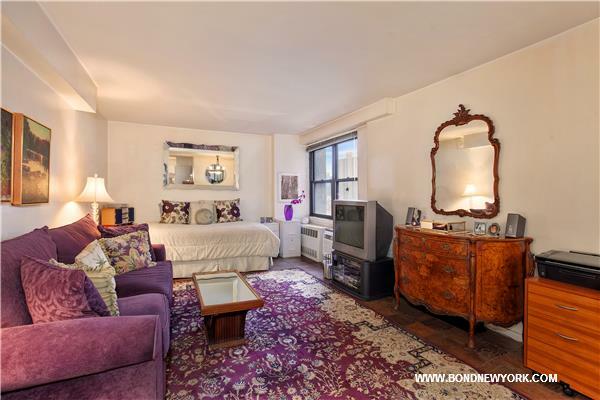 This is your chance to own your very own piece of the Upper East Side for a most reasonable price! This spacious studio on a HIGH FLOOR features parquet hardwood floors throughout, three closets and a convenient dressing area adjacent to the bathroom, and a separate kitchen. Lots of light from the sunny eastern exposure and open vistas enhance the airy, open feel of this home. FULL SERVICE building with 24 hour doorman and laundry. This co-op is pet and pied-+â-á-terre friendly and co-purchasing and gifting are allowed. Welcome home! !